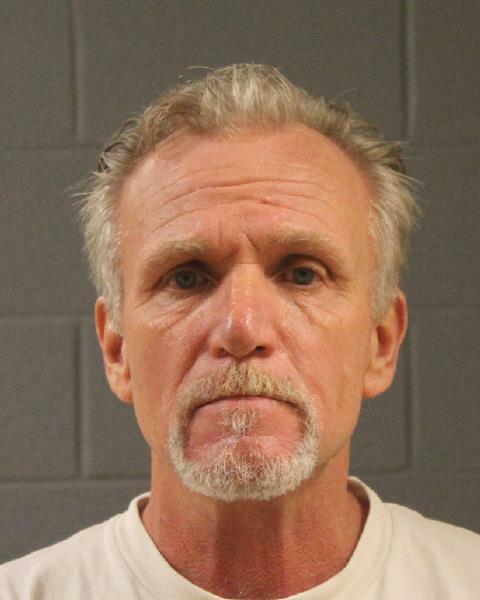 ST. GEORGE – After a St. George man was released from jail following a domestic violence incident Thursday, the man returned to the home later that evening with a loaded handgun. When a domestic violence incident occurs and the alleged perpetrator is arrested, the alleged victim and the residence are protected in what is called a “no contact order” should the suspect bail out of jail. Victims are protected by this no contact order until 1 p.m. on the first day of court following the arrest. Any violation of a no contact order results in an automatic arrest if the police are notified. Around 2:41 a.m. Thursday, officers responded to a violation of a no contact order in a situation the Police Department said demonstrates why these orders are put in place. Earlier that day, 59-year-old Gregory Ray Davis had been arrested following a domestic violence dispute and booked into the Washington County Purgatory Correctional Facility on two class B misdemeanor counts of assault and threat of violence. The alleged victim in this case was able to get away and alert authorities, according to police. When officers arrived on scene, they knocked on the door and spoke with Davis about unlawfully being in the home. Davis became combative with officers when they tried to arrest him, according to the statement. After officers took Davis to the ground and handcuffed him, they located a loaded revolver in his right front pants pocket. As a result of the second incident, Davis was charged with two class A misdemeanors for assault against a police officer and violating a jail release no-contact order and a class B misdemeanor for interfering with an arresting officer. If you are a victim of a crime in the city of St. George or have any questions regarding the Victim Services unit, you can reach them Monday through Friday, 8:00 A.M. to 5:00 P.M. at (435) 627-4399. If you are calling outside of regular business hours, please leave your name and number and someone will return your call during the next business day. If you are in need of immediate assistance, call 911. Handguns everywhere, make us safer and protecting our freedoms. USA, USA! It’s good to see the victim has common sense and bravery. It’s sad, but too many victims would allow the perp back into the home and not say a word. This is how murder/suicides happen. I hope the victim is okay and can relax now.